Home > NATIONWIDE > RESTAURANT > Summertime in Japan is good for Outdoor Dining! Summertime in Japan is good for Outdoor Dining! It’s summertime in Japan! Of the many things to look forward to is outdoor dining. Because the seasons are very strictly observed in this country, you will find that outdoor dining is difficult to come by, even during the warmer spring days. Most restaurants won’t open their rooftops and patios to their customers until May. On these warm, humid summer nights, you’ll find storefronts bright with lights, laughter and conversation as their patrons enjoy the cooler evenings after a long, hot day. Outside seating tends to be more limited than indoor accommodations, so it’s best to make a reservation when possible. If not, it’s worth walking around and asking about when seating outside might next be available. 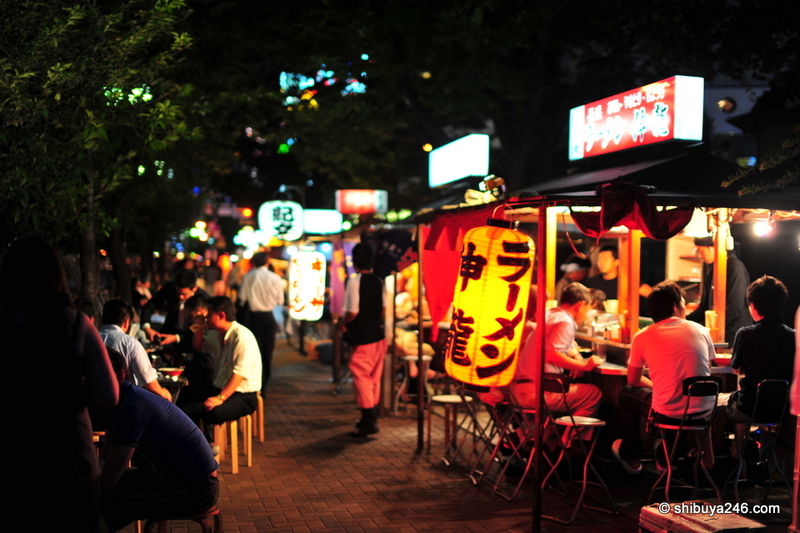 Street space is at a premium, so seating in front of the stores may be in narrow spaces, but some establishments may have a second floor on which you can dine on a balcony, or even a rooftop patio, referred to in Japanese as “oku-jou”. A word to the wise: some establishments at an extra charge for each customer seated outside or on the rooftop, often around 500 yen, and they probably won’t inform you of this extra charge. If you’re curious, you’d best ask. In any case, it’s worth it in the milder, earlier summer weather. Many establishments offering outdoor dining options can typically be found close to larger train stations in a sizable city. Because many businesspeople have dinner at these restaurants before leaving home, it is convenient for them to stay close to a major train station. Another reliable locale likely to host a lot of outdoor dining options would be any local fish market. In the early mornings, these markets are a gathering place for chefs, who are looking for their daily menu items. By lunch, and certainly around dinner, these markets often turn into a night-lit bazaar of traditional cuisine and izakaya fare. Even on colder evenings in the late spring and early fall, many establishments will have blankets and heaters available. They’re easy enough to come by, and I highly recommend them. Happy hunting! Say Hi to Stitch at Tokyo Disneyland!